Now there is a wedding to be planned! But who will you have beside you on this wedding planning journey? Your hubby-to-be? Yes, but he will probably only be interested in a few details of the day and all of the other decisions will be yours for the choosing….and that, my lady, is where your family and bridesmaids come into play. There are PLENTY of decisions to make while planning your wedding day, and you need a dependable squad to help keep you positive and be the tie-breaker when you love two different shades of blue just as much as the other. So how do you select your ultimate Bridesmaid Squad? What is the difference between a Maid of Honor, Matron of Honor, and a Bridesmaid? And what are the bridesmaids responsibilities? We are about to knock out each one of these questions in this one post (PLUS we have a few fun ideas for asking your gals to be part of your Bridesmaid Squad) – are you ready? Let’s do this! Question 1:What is the difference between a Maid of Honor, Matron of Honor, and a Bridesmaid? The Maid of Honor is traditionally a sister or best friend of the bride. This person is the bride’s right hand throughout the wedding planning process. She is sort of the “captain” of the bridal party. She helps the bride corral the bridesmaids and keep them organized and on schedule. She often gives a speech at the rehearsal dinner or reception. It is a lofty title that comes with a lot of responsibility and this should be taken into account when selecting the person to fill the role. Will they have time to accompany you to things you need help with? Are they a good communicator? Is their regular life already too busy for them to fulfill the duties of this role? A Matron of Honor either partakes in or shares the responsibility of the Maid of Honor, except the primary difference is in some circles, THIS person is an already married advisor. She’s been through this process before so she can provide some insight. A Bridesmaid is a member of the wedding party as one of the bride’s close family members or friends. They lend a listening ear, give advice on décor and music. In some instances, they organize (and often foot the bill for) the bridal shower and/or bachelorette parties. They help with registries. Some of the best bridesmaids I’ve seen act as the Bride’s Ambassadors; they man the guestbook at the reception, they’re social, they guard the gift table, they dance with great Uncle Joe from the Groom’s family even if it’s out of reluctance. This role sometimes comes with considerable cost if they are going to be responsible for bridal showers and the like and this is also something that should be kept in mind before you pop the other big question. Question 2: How do you select your ultimate Bridesmaid Squad? The Bridal Party should be YOUR #squadgoals. It’s composition should consist of people who mean the most to you, have shaped who you are and been influential in your life or will be in your new family. Sisters, cousins, aunts, nieces, best friends, neighbors and the like should make up your bridal party. It’s also ok to ask people that are close to the groom that you love and respect as well (i.e. his sisters) if you feel comfortable. The other big thing to keep in mind in time and money. Will they have the time to make it to fittings? Are they close to a location of your chosen seamstress or dress shop or are they too far? Can they pay for their gown (if you aren’t footing the whole bill)? You don’t want to ask someone who more than likely can’t and put them in a situation that they’ll feel bad about having to decline your offer or put themselves in a bad spot trying to meet the obligations. Question 3: What are a Bridesmaid’s Responsibilities? While we did touch on some of the responsibilities when we explained the differences in each role, we want to go a little more into detail and stress the fact that this isn’t a one size fits all list. Just like every wedding is unique so is every bridal party and as such, so will be the responsibilities of those in it. In some wedding parties, those whose accept roles are not responsible for paying for their own attire, let alone any parties or showers. In some wedding parties, just the Maid of Honor pays for the Bachelorette party. It’s all really up to you, as the bride. That said, typically, bridesmaids are responsible for helping pick their gowns and paying for them. They usually split the cost and organize the bridal shower (yes, this often means coming up with toilet paper dress games and that kind of thing. But don’t fret. It really is a blast). Your biggest responsibility as a bridesmaid, however, is to provide moral support to the bride. Be there when she needs you. Give advice, but remember this isn’t your wedding. Provide feedback and be honest but be mindful of the Bride’s feelings. When she gets frazzled, comfort her and offer to step in. Because that’s what friends are for and Bridesmaids are that and then some! BONUS: Fun Ideas on How to Ask! Like the store bought kits above, some brides choose to go the personalized route and make swag bags with things that they know their friends will like, novelties that hint at inside jokes, and more. It’s a customized twist on the above idea that may score you some extra squeals with that yes. Check our PINTEREST PAGE for some fun inspiration! Make your next girls’ night a little more to celebrate by asking your friends to play a vital role in the first day of the rest of your life. Nothing says “I want you to be in my wedding” like wining and dining. All of us like getting flowers and or candy out of the blue. The only way to make that sweeter is if its accompanied by an offer you can’t refuse, like standing behind your friend as she takes her beau’s last name! Send a bottle of wine with a glass that pops the question for you or maybe just a nice card with a half dozen of roses. With the myriad of delivery services available at the tips of our fingers today, this would be a breeze! How did you ask YOUR bridesmaids, or what ideas do you have? Comment and let us know! 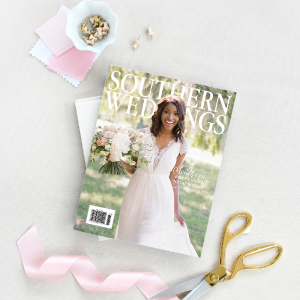 We recently released a survey asking some Southwest Louisiana wives to share their own wedding experience for our readers. (We couldn’t be more thankful for the ladies who took the time to share their experience and advice with you all! ) One of the big questions we asked was “If you could recommend that couples focus their wedding budget on just two things what would it be, and why?” The number one answer we got to this question was photography. The reason? This was what they still have to look back on…these were the memories of their wedding day. One of the questions I see most often when couples are searching for a wedding photographer is: Why are wedding photographers so expensive? One might even assume that they charge a lot just “because they can.” In reality, photographing a wedding is A LOT of work. The actual act of photographing the event (and engagement + bridal portraits before) are the fun part! For 10 hours of actual photographing work, there are 3 times the amount of hours in post-production, meetings, designing, and setup. Just like you commit hours planning your wedding over a long period of time, your wedding photographer is committing a significant amount of time to your wedding as well. This, and the fact that photographs of your wedding will be what you have for memories of your day after the wedding, are something to keep in mind when you are planning your budget for photography. In a previous post, we shared a tip for budgeting that we absolutely swear by. When my husband and I were planning our own wedding we chose to pick two things that meant the most to us to focus majority of our budget on. For my husband it was planning a great honeymoon so we could relax after a busy few months of planning our wedding, and enjoy the our first few days together as man and wife. For me, number one was the photography. Five years later, we have no regrets. Our wedding was a wonderful day that was so special to us, and the photographs we have to look back on remind us of how great it was each and every year. In fact, now we get to share those memories with our children! Since we all agree that this is a very important decision, we wanted to take some time and share 6 tips to help you book the perfect wedding photographer for your wedding. Tip 1 – Make sure their work matches your preferred style. This is a biggy. Chances are you have looked at a few different photographers websites or you have pinned a few favorite shots on Pinterest. A photographer selects images to show online that they feel best represents their work (these are usually the type of images that they enjoy photographing the most). As you were looking through your options, chances are you were drawn to at least one photographers work more than the others. If you enjoy the photographers work, it is probably a great idea to schedule some time to meet up with them and learn more about what they have to offer. Remember, you can’t expect another photographer to photograph like the “photographer you wish you had”. Each photographer has their own style! Tip 2 – Make sure your photographer is experienced in photographing weddings. I would love to say that price can help you differentiate between an experienced photographer and someone just starting out, but that is not always the case. It is an excellent idea to ask the photographer how many years they have been specifically photographing weddings, and maybe even how many weddings they have photographed themselves. Unlike a normal photography session, weddings have a lot of variables – a lot of which happen very quickly and can’t be easily replicated. The more experience a photographer has photographing weddings, the easier it is for them to know what to expect next (which helps you out a lot of times, because chances are this is your first time participating in the back end of a wedding), and know what to do in situations when fast decisions need to be made. You may be thinking, well everyone has to learn right? Yes, but most serious photographers will spend years second shooting weddings with more experienced photographers to learn and get the experience needed to start taking on weddings by themselves. On such an important day, lots of previous practice is the best way to get learning experience. When they start taking on weddings themselves they will still have a few things to learn, but at that point they will have a strong and secure foundation to build on. Tip 3 – Ask what the turn around time is for getting your photographs after the wedding. It is so helpful to ask this upfront. Once the wedding is over, you will be anxiously waiting to see professional photos from your wedding day. It is a great idea to find out the expected turn around time (and write it down somewhere so you can look back at it later) so you aren’t tempted to anxiously reach out to your photographer very week to see if they are finished. Sometimes photographers will post previews, which are super fun to look at while you wait for them to wrap up everything on the backend. The turn around time for wedding photos vary for photographers. It is important to realize is that actually photographing the wedding day, or even engagements or bridal sessions, are only a very small part of the photographers job. The real work comes in the hours of editing, selecting, and preparation after a session – in addition to other business tasks. But every photographer has a process, and should be able to let you know when you can expect the images to be all finished up and ready for you to view. Tip 4 – Make sure they are licensed, insured, and have a back up plan. While a degree in photography is not necessary to run a photography business, a business license is. A committed photographer will have taken the steps necessary to run their business according to the legal requirements (getting a business license, collecting and filing taxes, etc.). Along the same lines, it shows good business practice if your photographer is properly insured. Digital photography is very forgiving since we now have the opportunity to instantly view the images and tweak details as we see fit, but we all know that technology can give us trouble from time to time. It is important to make sure that your photographer has a back up plan for such situations – such as a backup camera and proper insurance to fix gear in case issues arise. Tip 5 – Make sure that you and your fiancé are a good match with your photographer. It is so important for you to schedule time to meet with your photographer. Your photographer will spend a very large chunk of your wedding day right alongside you – so make sure that you enjoy being around them. Get to know them and what they stand for. Taking time to visit with them before you book, will help you SO MUCH in the long run. Tip 6 – Make sure you trust your photographer. This may seem like common knowledge…of course you wouldn’t ask some shady person to take your wedding photos. But in our search for a photographer for our own wedding, my husband and I ended up booking a photographer whose work was inconsistent and whom we didn’t feel as comfortable with, just because they were cheaper. We didn’t get very far along in the relationship before we realized – this was a big mistake. To make a long story short, we thankful ended up realizing that having someone there that we trusted and had the experience needed to capture our wedding day, was the most important part of the entire process. We booked the more expensive and experienced photographer we trusted and we decided that we could make the money work for the peace of mind and beautiful memories we would have after our wedding was over. Along the same lines, you want will want to work with someone who honestly enjoys what they do, loves weddings, and is excited to celebrate this day with you. BONUS TIP – If you are having a larger wedding, look into hiring a photography team with multiple shooters. One experienced photographer will get all of the important details of your day, but two experienced photographers will get the details from multiple viewpoints and perspectives. This is not to be confused with hiring two separate photographers – that is NOT something that tends to work out very well for anyone involved. But there are a few local photographers who work in pairs (usually a husband and wife team). These pairs work well together and their styles compliment one another making one beautiful finished body of work. Similarly, many individual photographers will also hire second shooters to shoot with them on wedding days (hopefully the same person that they have experience working with and trust). While this is an extra expense, it is nice to have someone there to help throughout the day – making it possible to be in two places at once. Visit our Photography Vendor page to view some local photographers we recommend looking into! Do you have any other tips for booking your wedding photographer – or – a favorite Lake Charles, LA wedding photographer you would like to rave about? Unless you would like the office to keep your birth certificate (as they will be required to do by law otherwise), you should stop by and get this waiver from the 14th Judicial District Judges Offices (1001 Lake Shore Drive – 3rd floor, Lake Charles, LA 70601). You will need a state issued ID (driver’s licenses) or birth certificate to obtain the waiver. Their hours are 8:30 am-12 pm or 1:30-4 pm. – The license is good for 30 days. This means that your wedding ceremony must be within 30 days of the purchase date of the license. So, you probably don’t want to be too much of an early bird with this wedding task. – Most officiants will return your marriage license for you. This is super helpful if you are heading off on your honeymoon directly after your wedding. 3. Optional – your fiancé; you aren’t required to both be present to get your marriage license, unless one of you does not have a social security number – that person will be required to be present. If you happen to both be free, totally make it a date and get the wedding work done then head over to Botsky’s or Pujo Street Cafe for lunch. The official address is 1000 Ryan Street, but we recommend entering from the back entrance on Pithon Street (the back of the building displayed at the top of this post). Once you enter the Clerk of Court office from Pithon Street (a big brick sign reads “Calcasieu Courthouse”), there will be an elevator to your left that will take you up to the 2nd Floor. Once on the 2nd floor, take a left and walk down until you see a door surrounded by two large white columns. The door reads “Room 5 – H. Lynn Jones, II Clerk of Court.” There are signs listing Marriage Records & Licenses all along the way – which is super helpful! Hours of operation are 8:00 am – 4:30 pm. – How long should you expect to stay? This really depends on how many people are there. I would say at least plan for 10-30 minutes. You will fill out the application form (if you have not already filled out the form online – we did not have luck getting it to work even with an updated version of Adobe Reader), they will do their magic, and you get your marriage license minutes later to take with you. – If you have been married previously, you must know the month, day, and year of your divorce or the death of your previous spouse to obtain a new marriage license. – Corrections can only be made before your ceremony and the fee to do so is $10. NO CORRECTIONS can be made once you are married! Another reason why timing is very important for this wedding task. – If you need a certified copy of your license after the ceremony, you will need to purchase one from the Clerk of Courts office for $6. – There is a 3 day waiting period for your license “to take effect,” but this can be waived at the Judges office (if needed). – The marriage ceremony must be performed in the State of Louisiana. We were very interested in finding out a bit more about this since we know some couples choose to have destination weddings. According to the Clerk of Court you must be married in Louisiana (or docked in Louisiana water) for the marriage license to be valid. If you are married outside of the state, you must file a marriage license for the state you are married in. Your marriage will need to be recorded in Louisiana as well afterward. Information gathered from the Clerk of Courts website and the helpful ladies in the office.